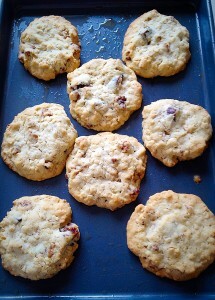 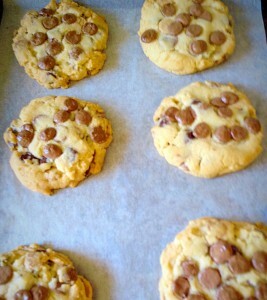 Being a self confessed ‘Cookie Monster’ I am always trying to master the best cookie recipe ever. 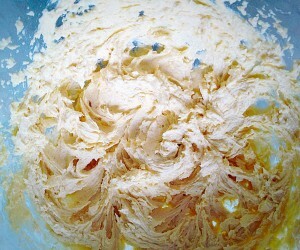 A little dramatic I know, yet one thing has always eluded me. 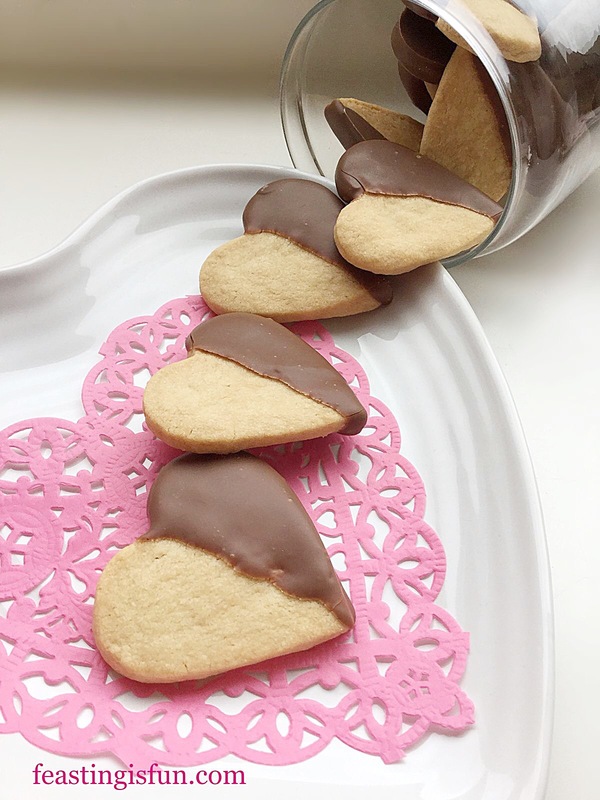 Most particularly in a chocolate cookie. 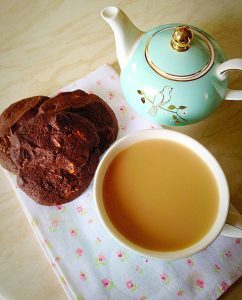 That soft chewiness that is the reward from a bakery bought cookie. Not any more! Finally, after weeks of practise and recipe adjusting I have mastered a new cookie. 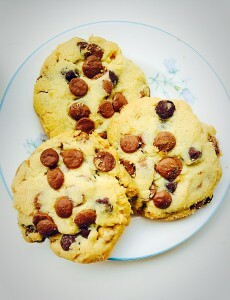 And I share it with you here for the very first time; Bakery Style Soft Triple Chocolate Cookies. Bakery Style Soft Triple Chocolate Cookies. 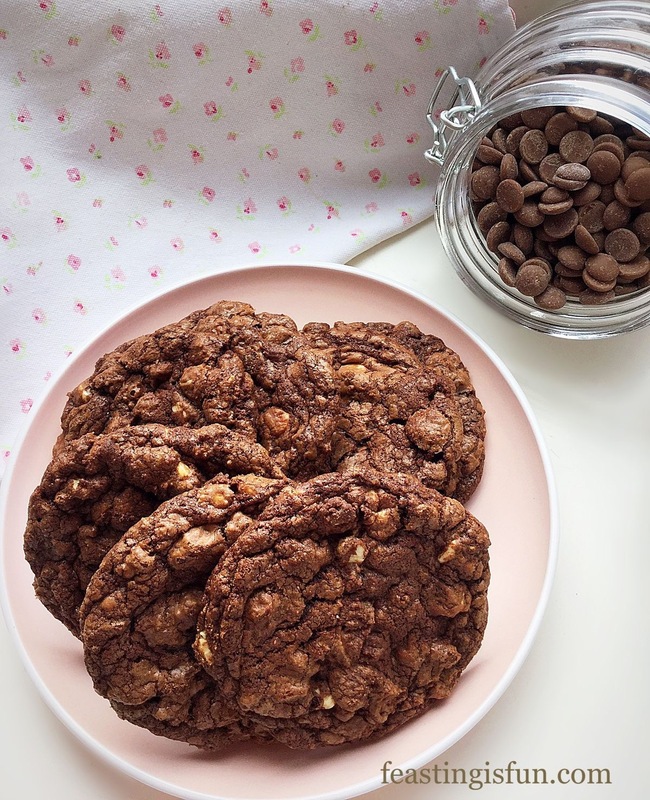 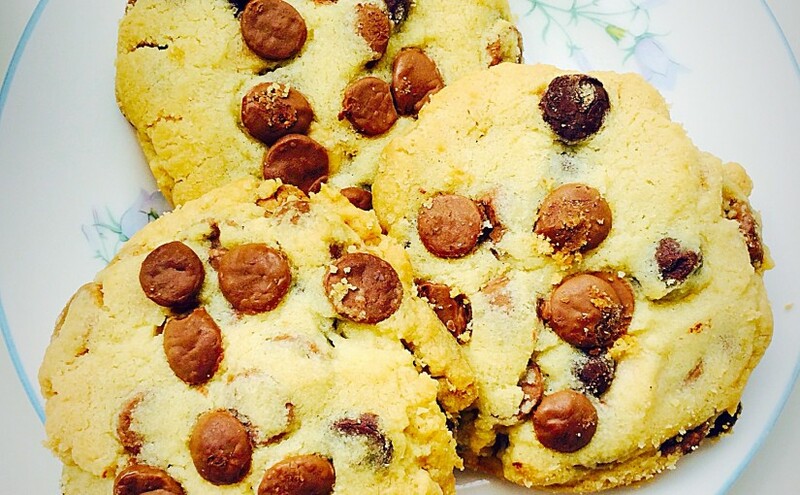 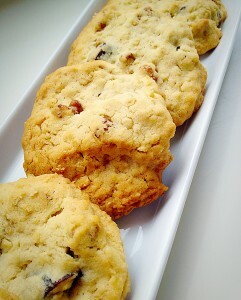 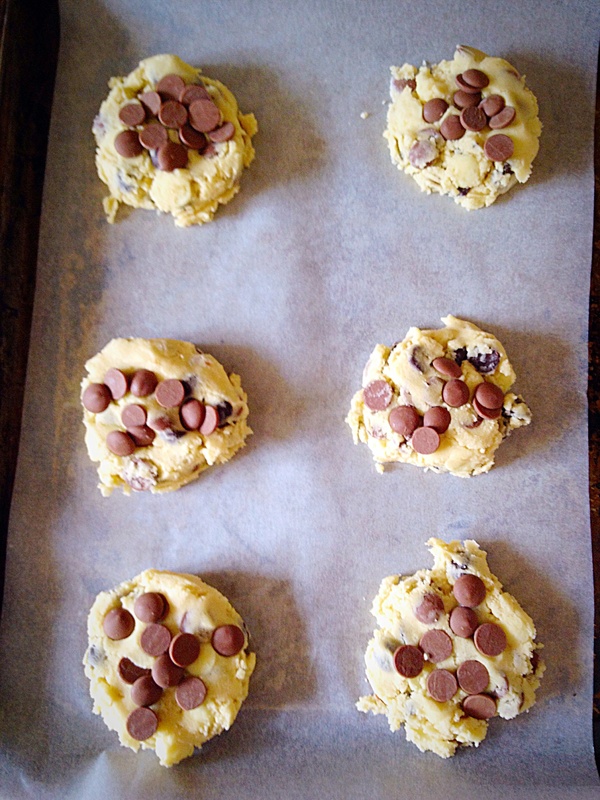 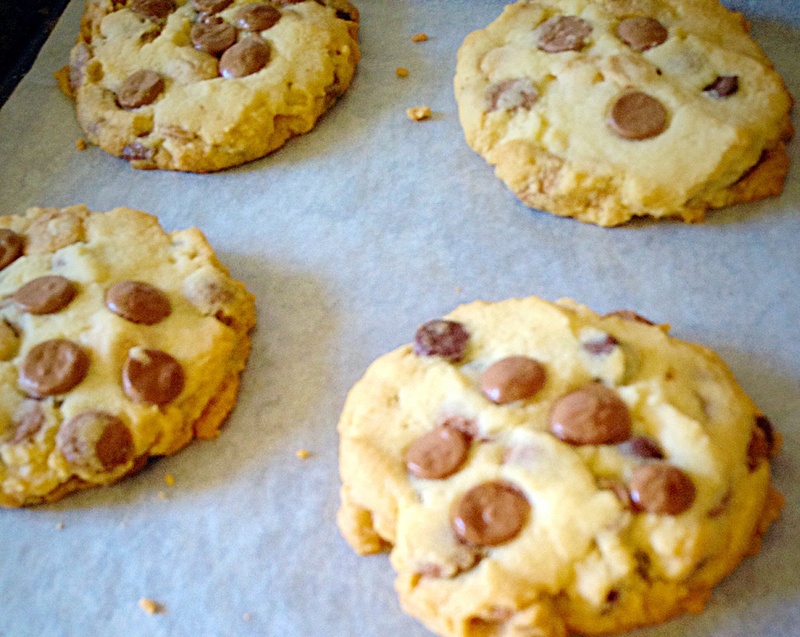 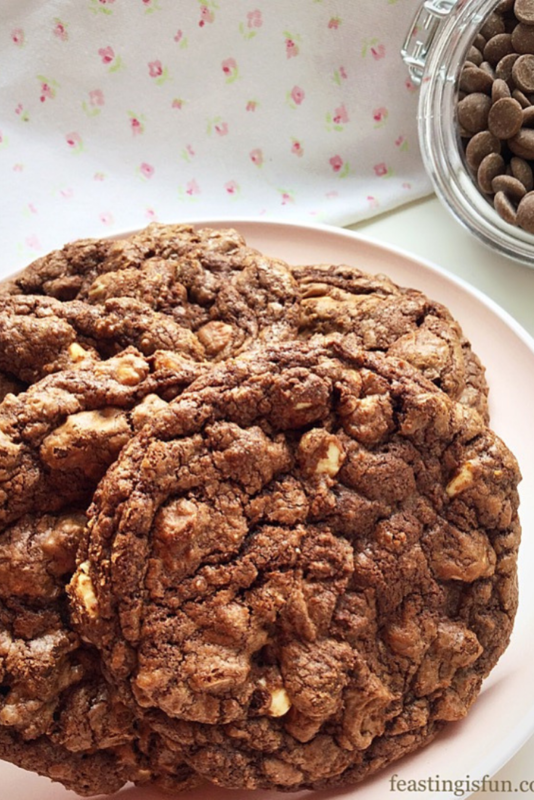 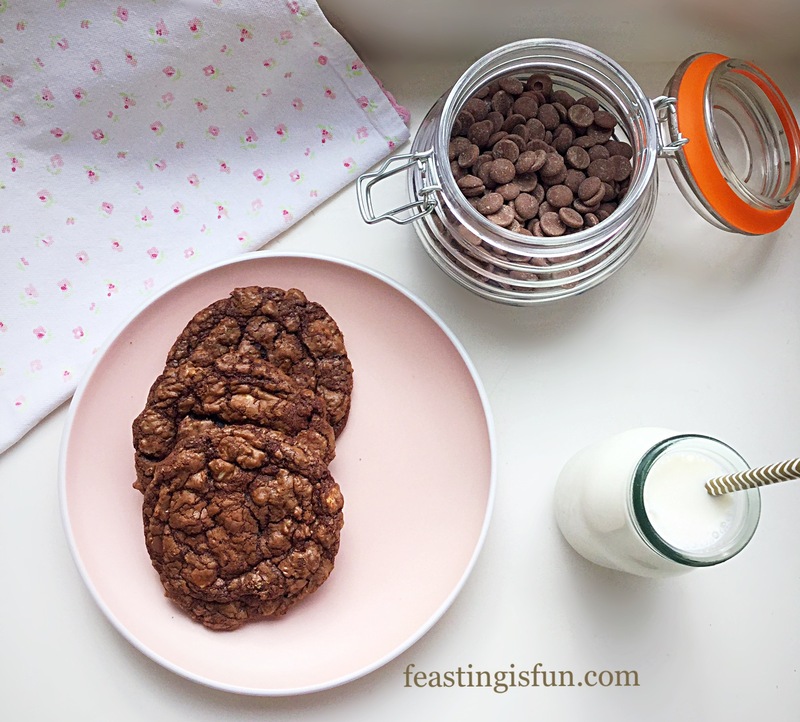 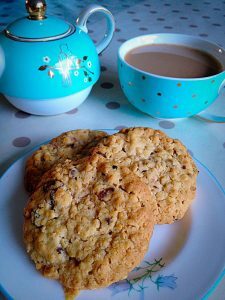 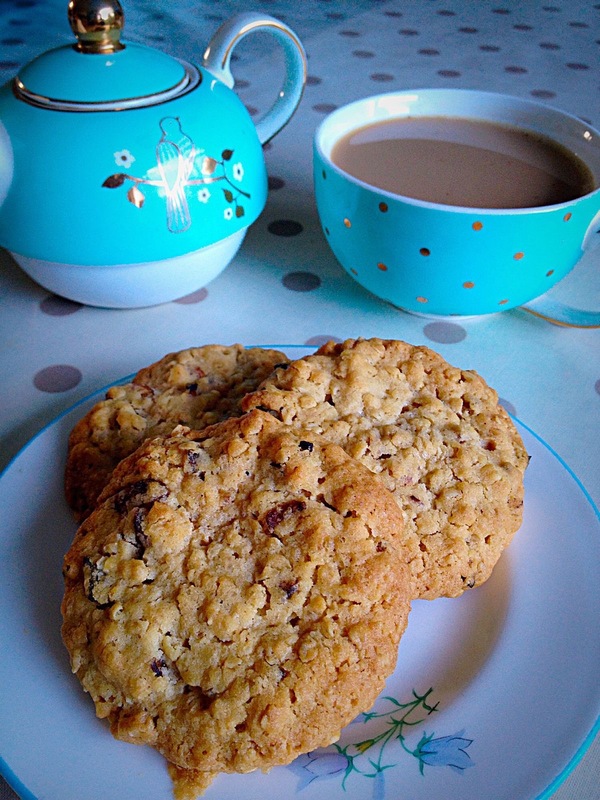 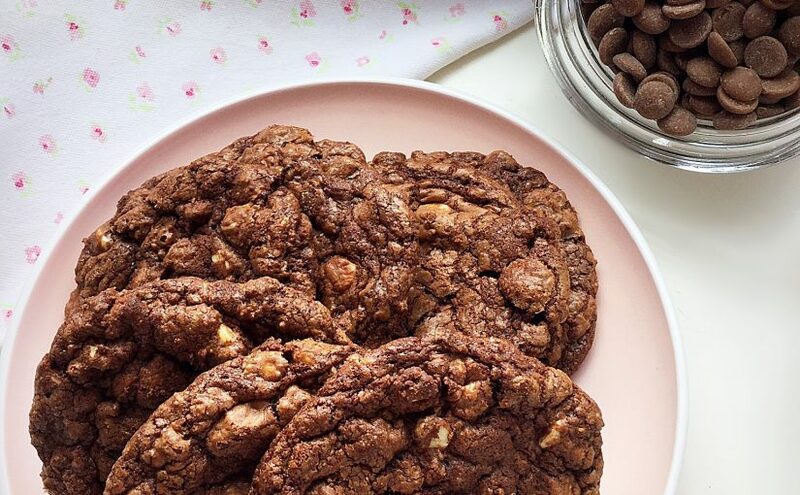 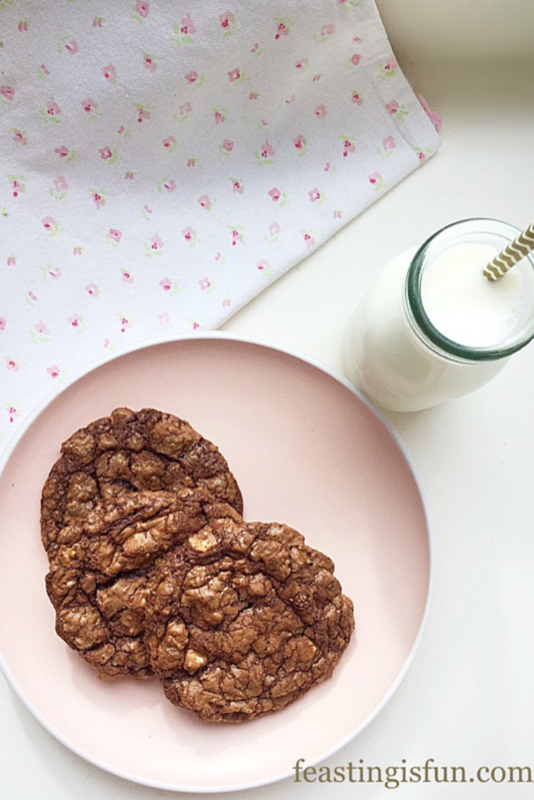 Large soft and chewy chocolate cookies packed with both milk and white chocolate chips. 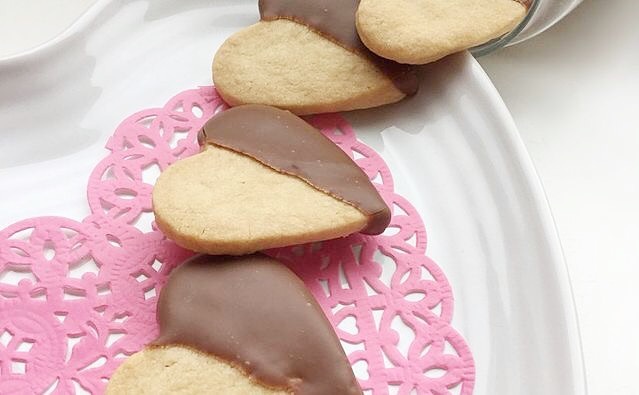 Because if they can be bought, we want to make them at home. Right? 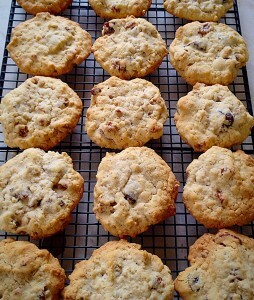 And, since the recipe is simple and easy to follow, everyone who wants to can make and bake these. 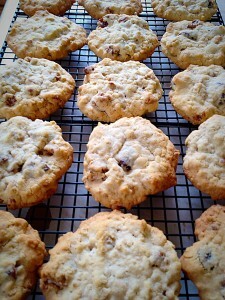 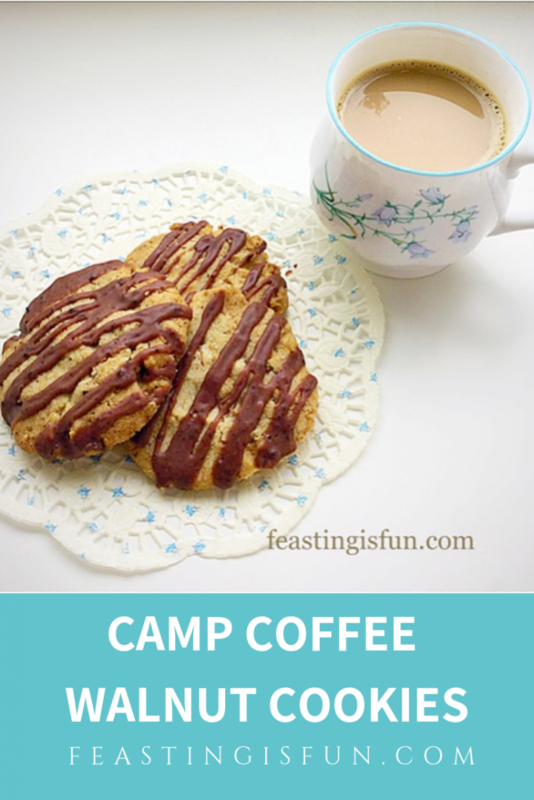 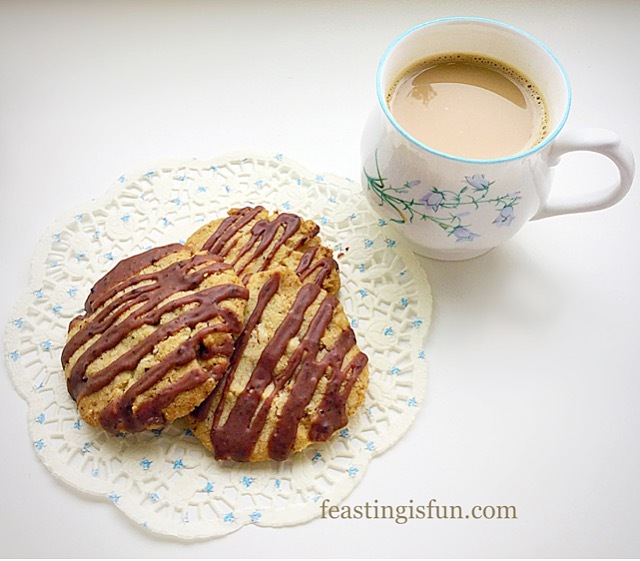 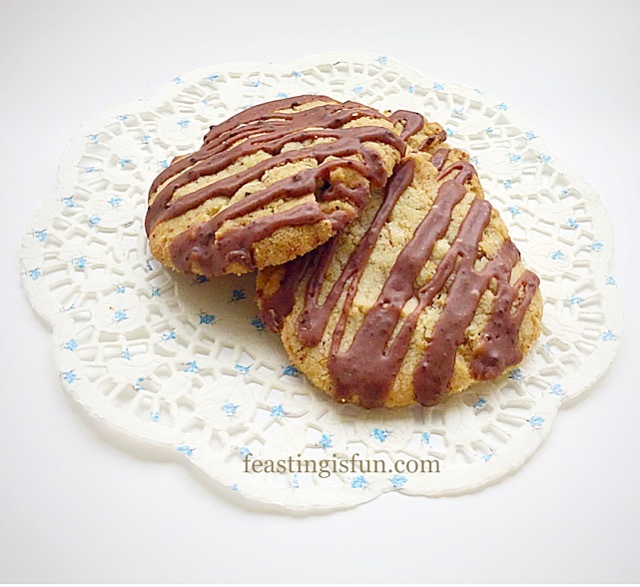 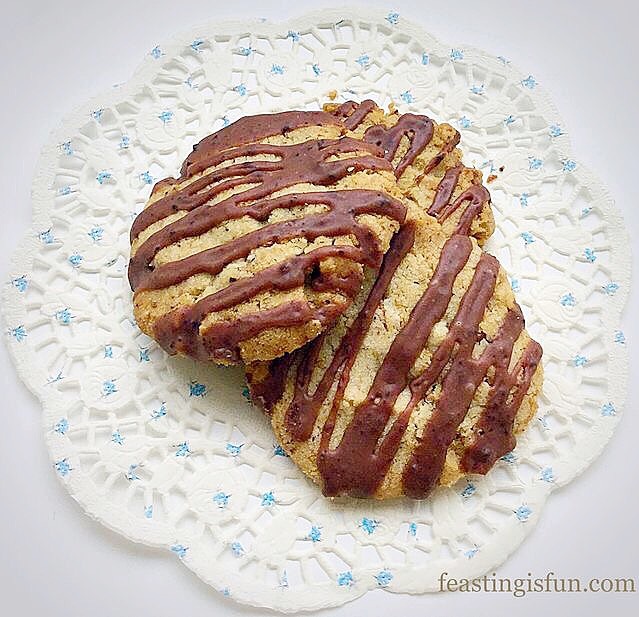 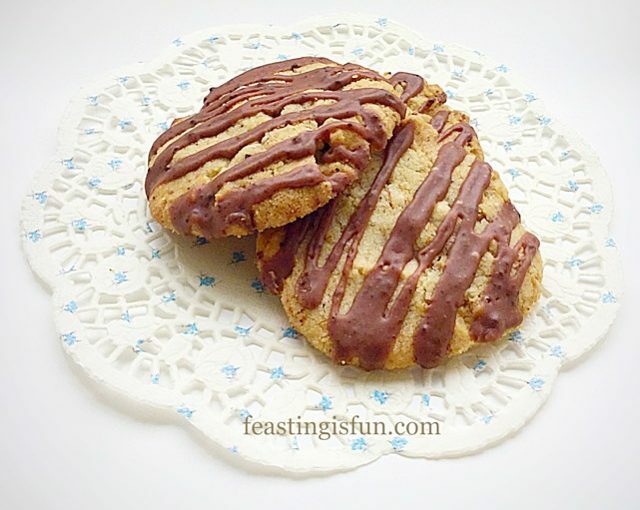 I really am super thrilled to share these cookies with you. 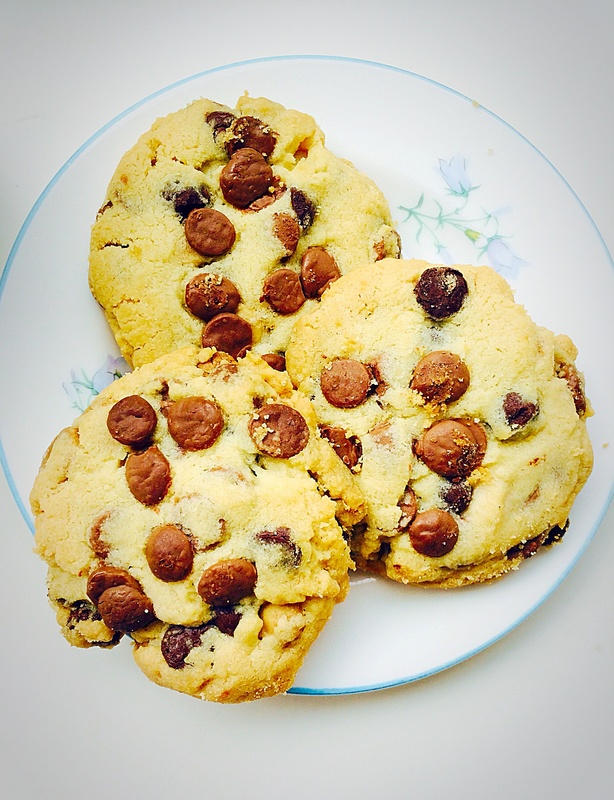 While sugar and chocolate are the major ingredients in the cookies, they most definitely aren’t teeth achingly sweet. 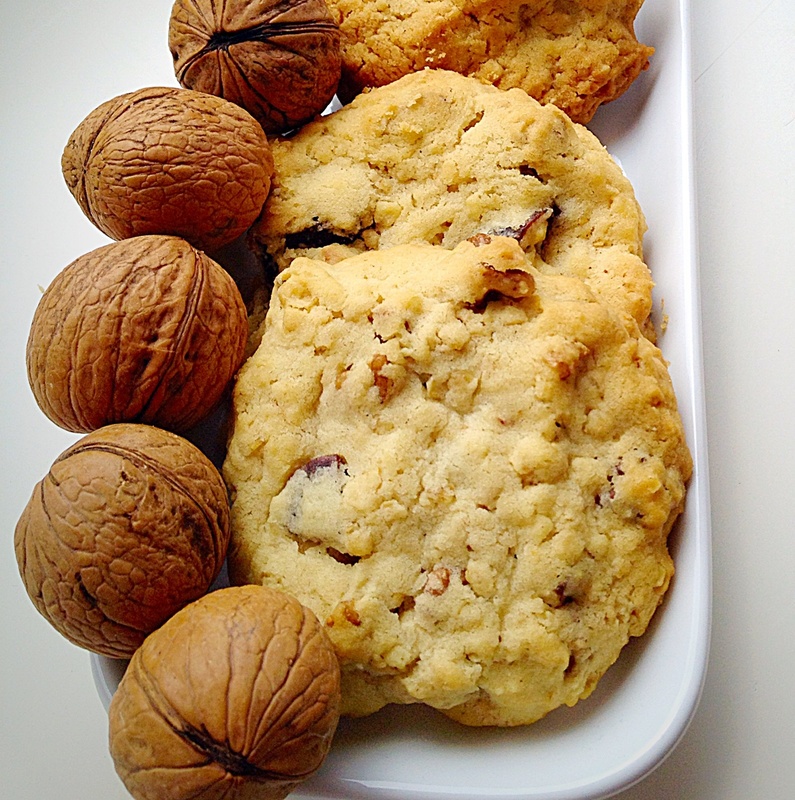 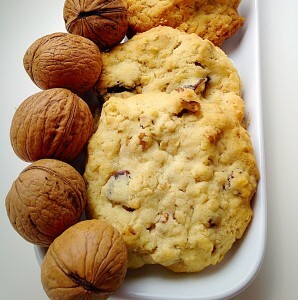 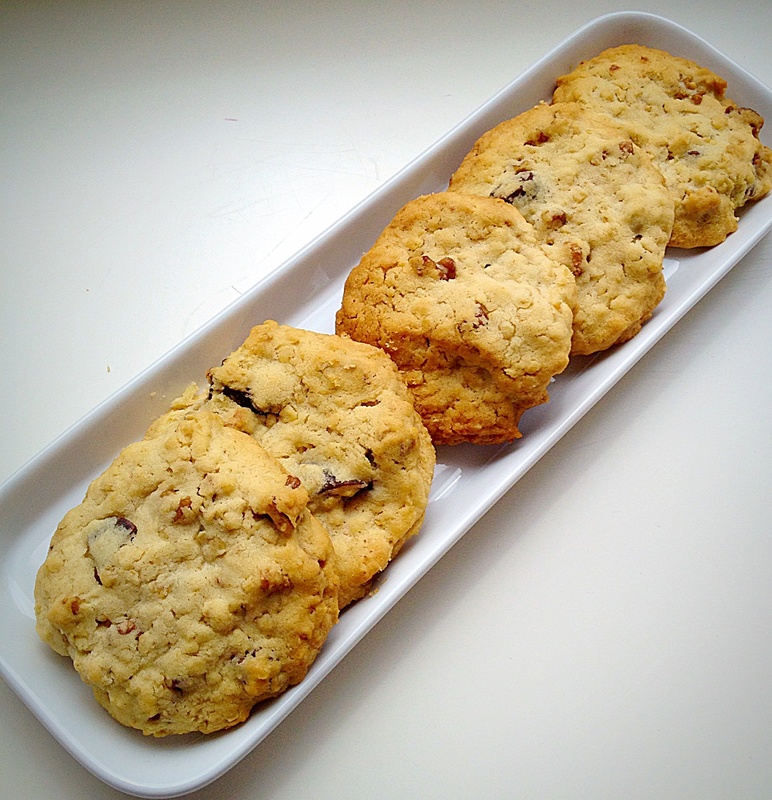 Both flavour and texture are balanced, resulting in a perfect bakery style cookie. 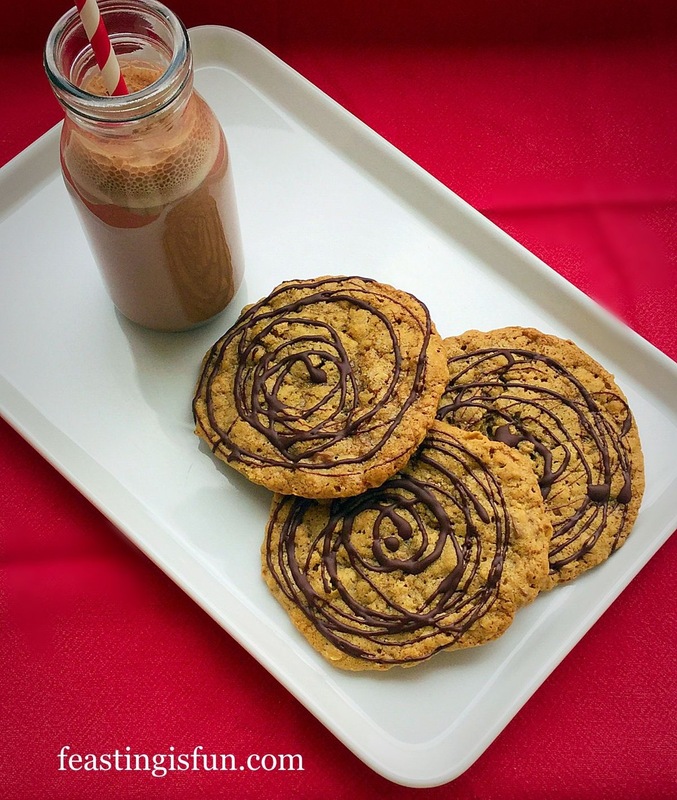 Either served warm or cold these cookies do not disappoint. 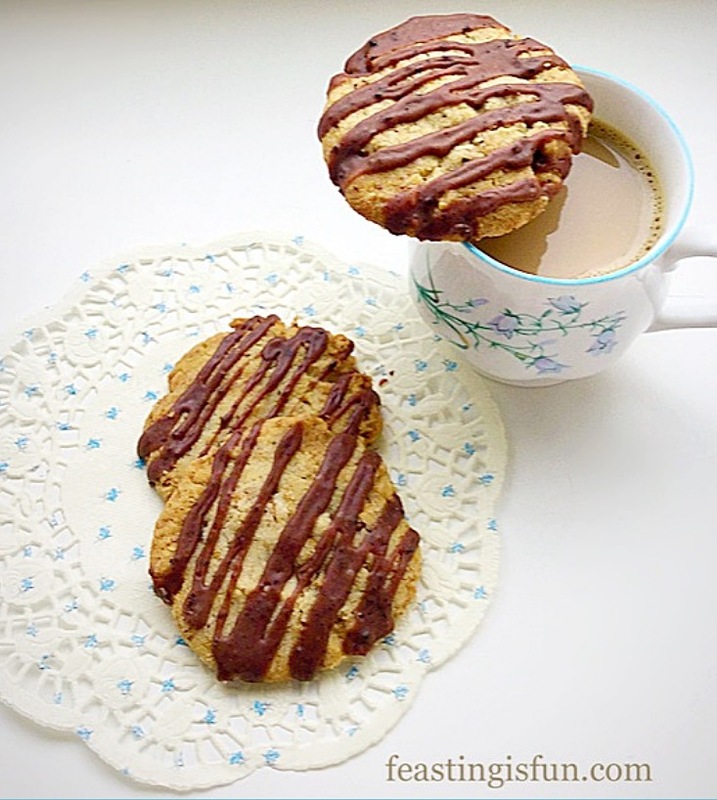 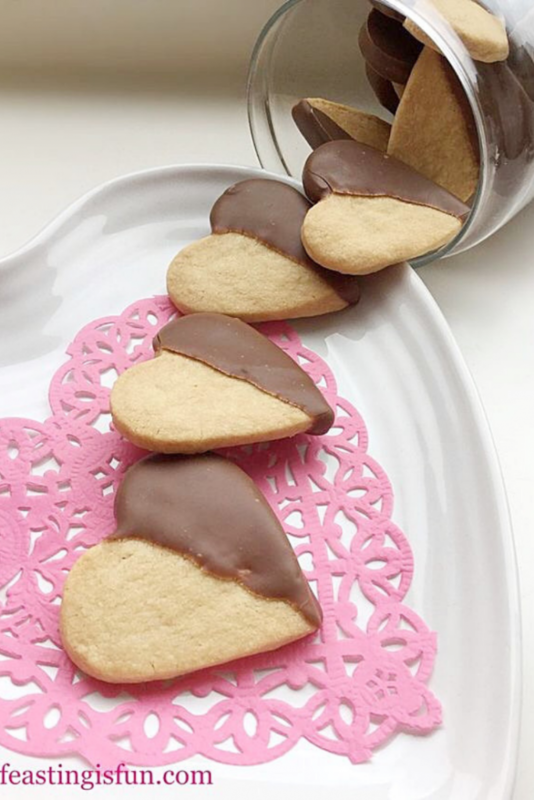 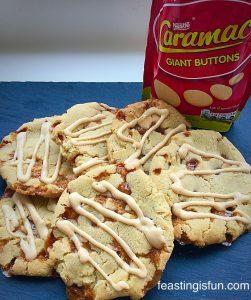 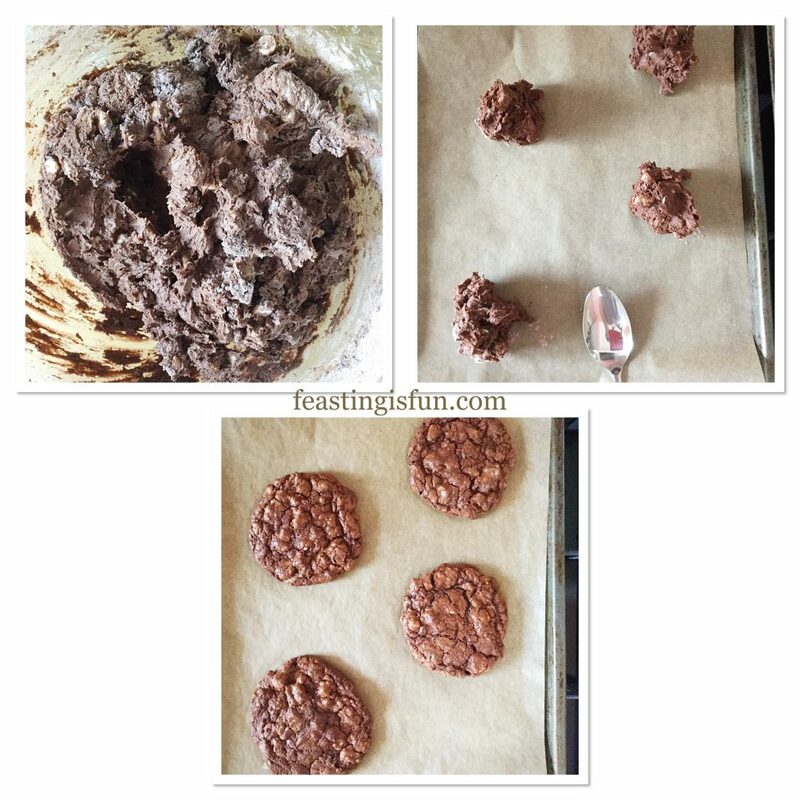 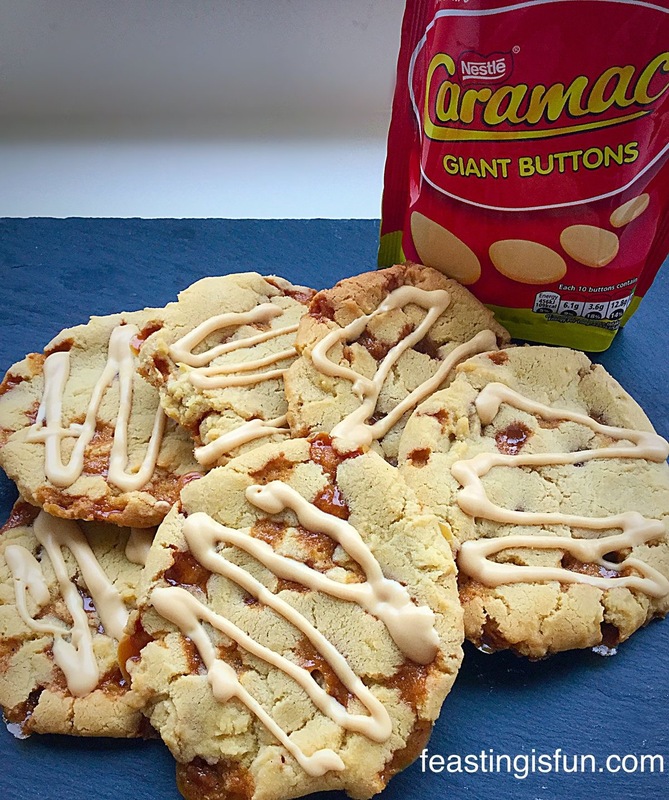 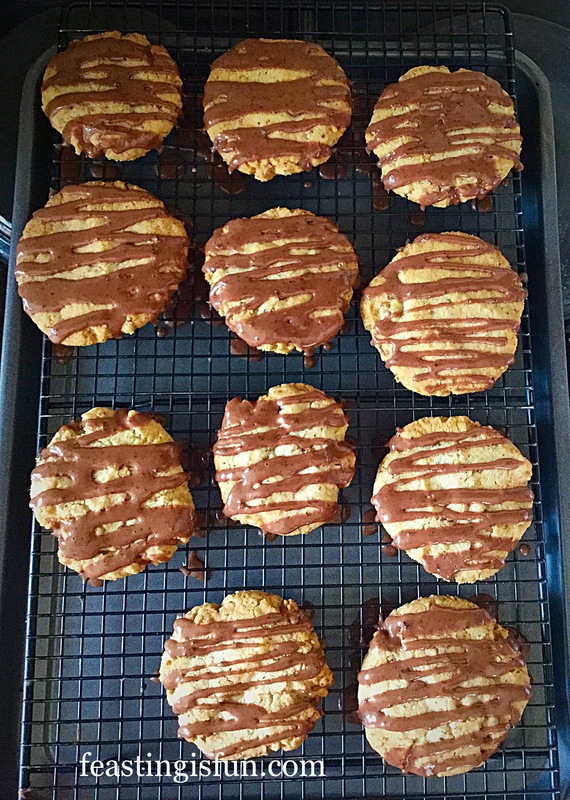 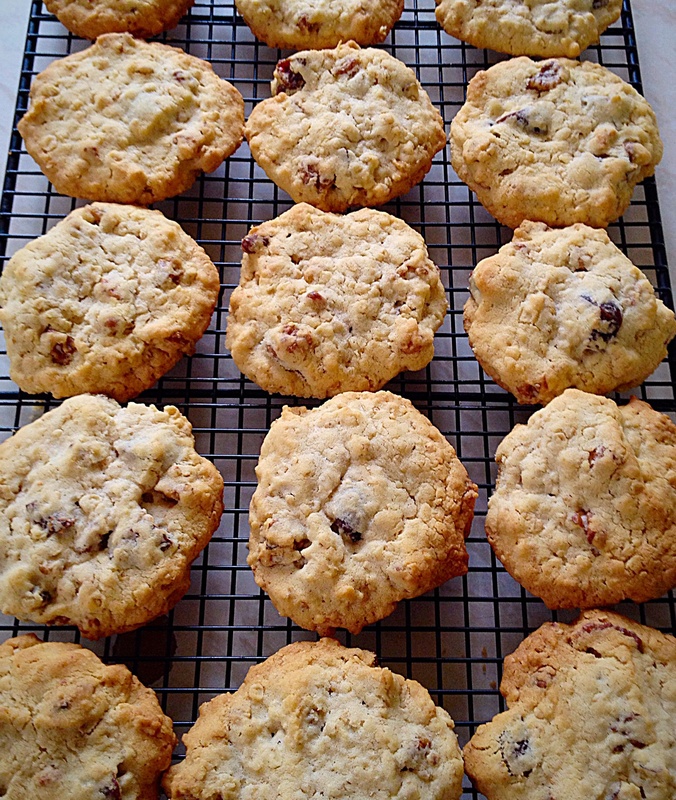 Baking time really is key who achieving the perfect result with these cookies. 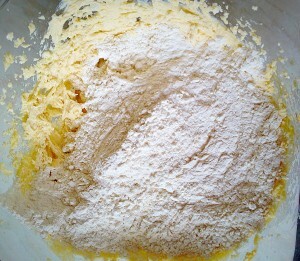 As a guideline it is better to under bake, similar to Brownies, in order to get the soft texture. 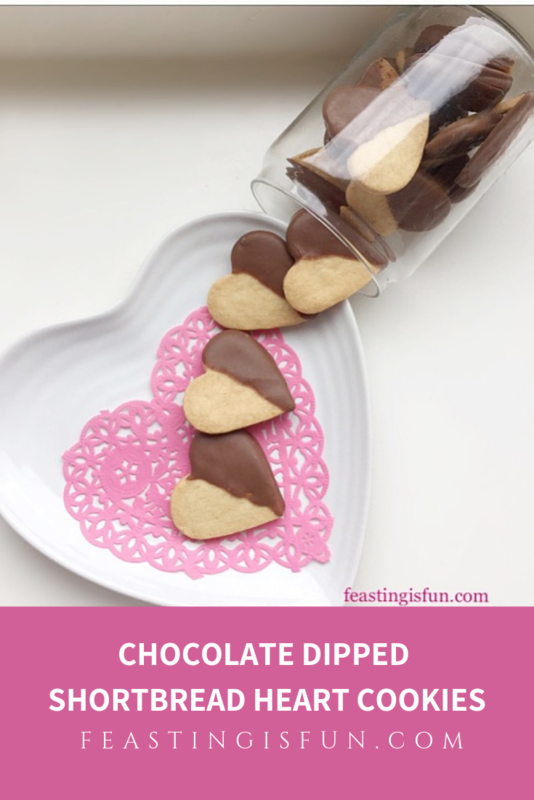 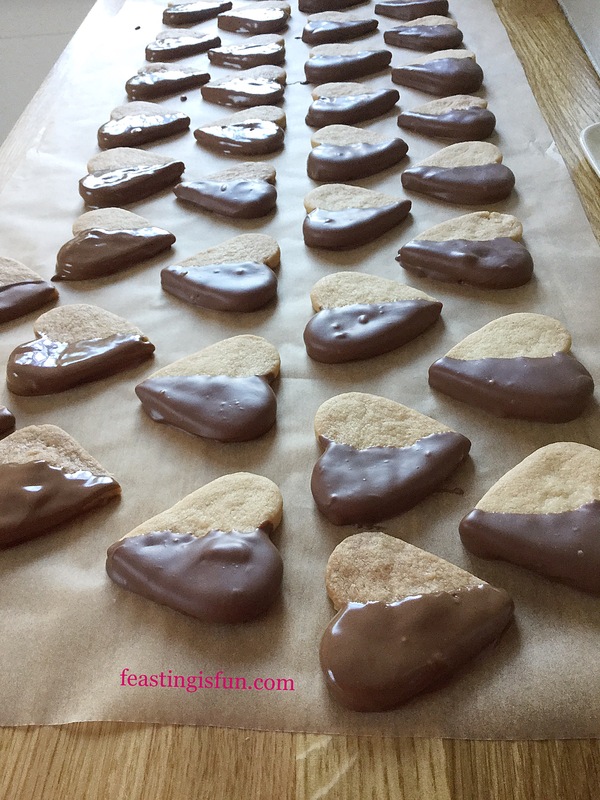 If, once the cookies have cooled for 5 minutes after baking, they won’t hold their shape when transferring, place back into the oven for a further 2 minutes baking. 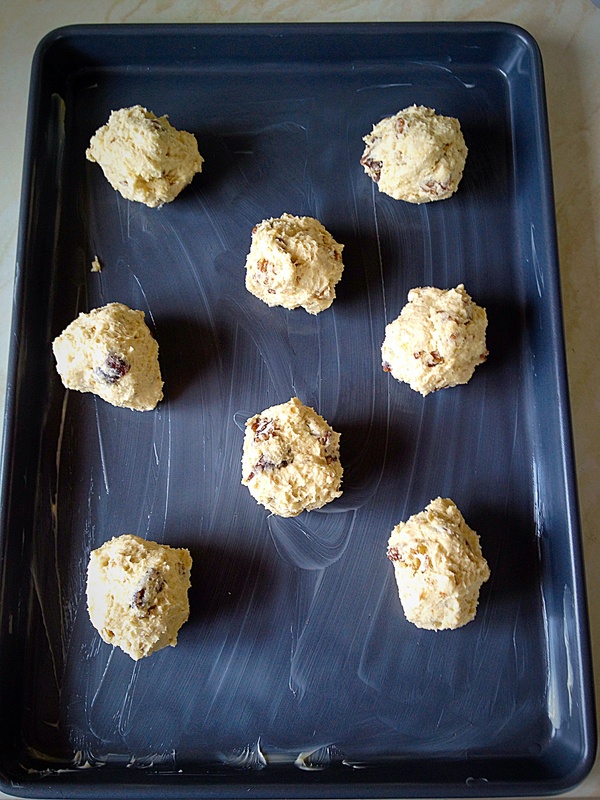 First of all, line 2 large baking trays with baking parchment. 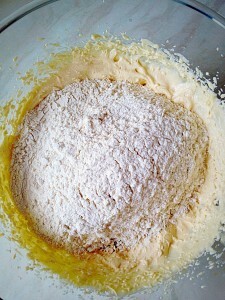 Into a large, heatproof, microwaveable bowl add the butter, salt and both sugars. 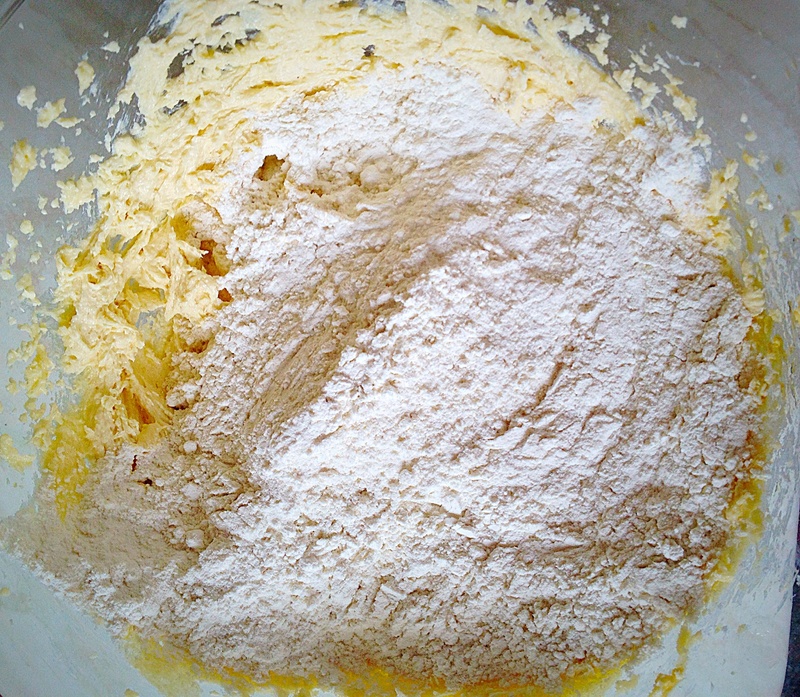 Heat the butter and sugar on medium, in the microwave for 30-40 seconds, until the butter just starts to melt. 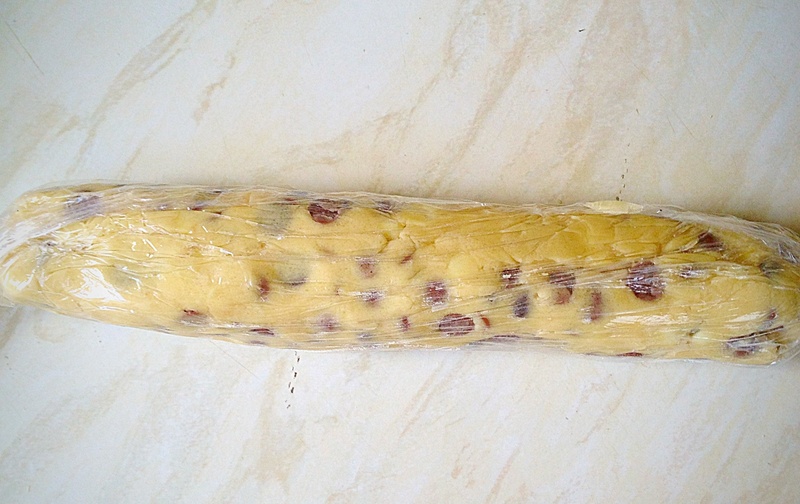 Remove from the microwave. Whisk the butter, sugar and salt together until smooth, pale and creamy. 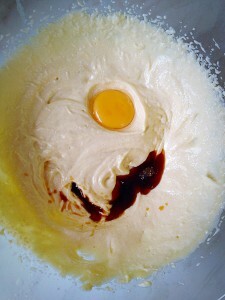 Add the whole egg and extra yolk, plus the vanilla extract. 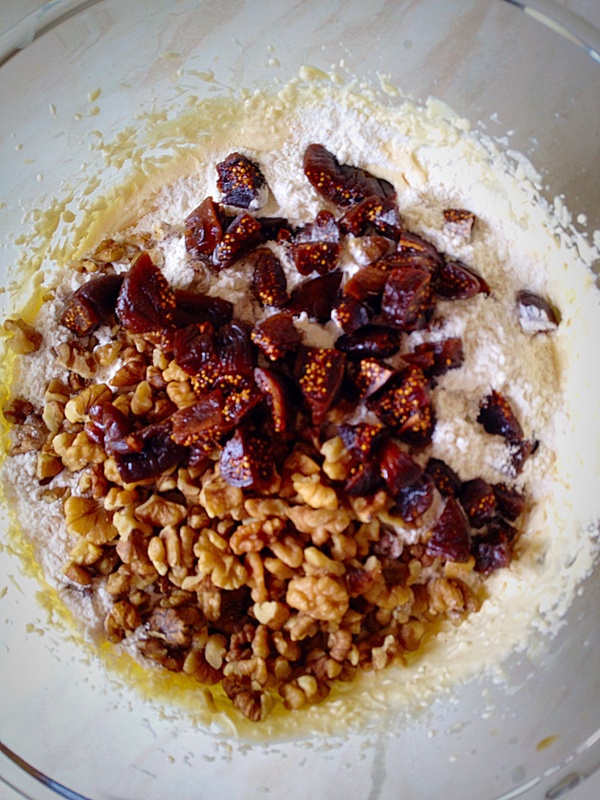 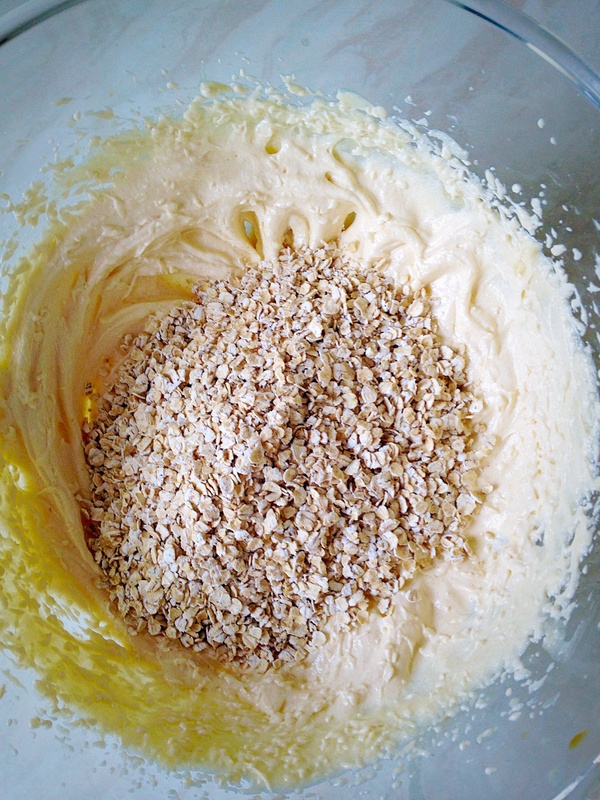 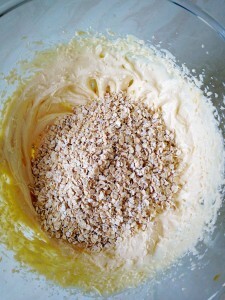 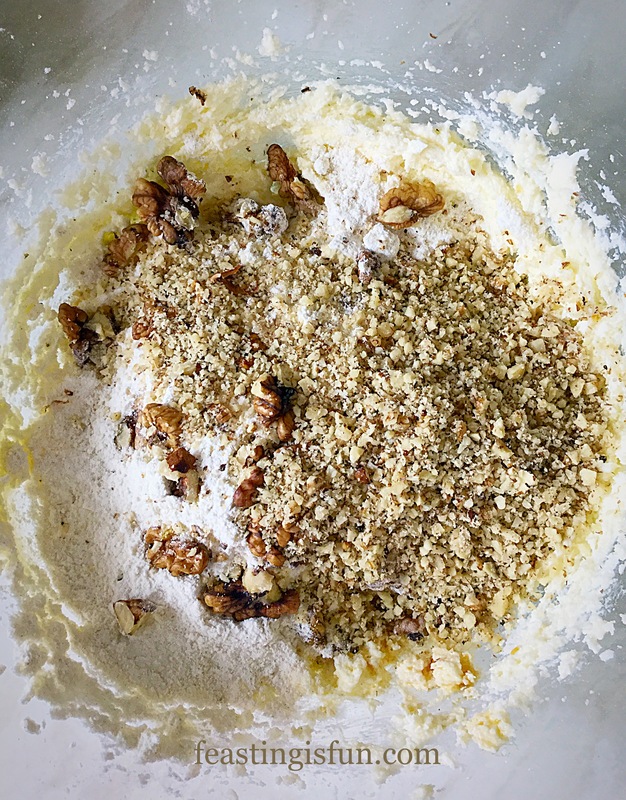 Whisk the ingredients together until fully combined. 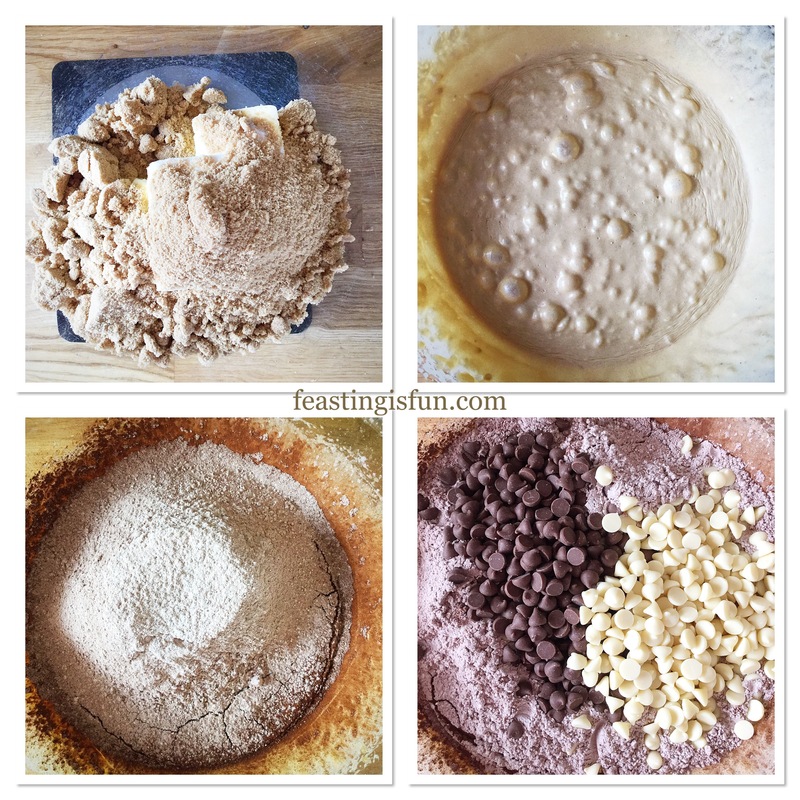 Place a sieve over the bowl and add the flour, cocoa powder and bicarbonate of soda. Add all of the chocolate chips to the bowl. 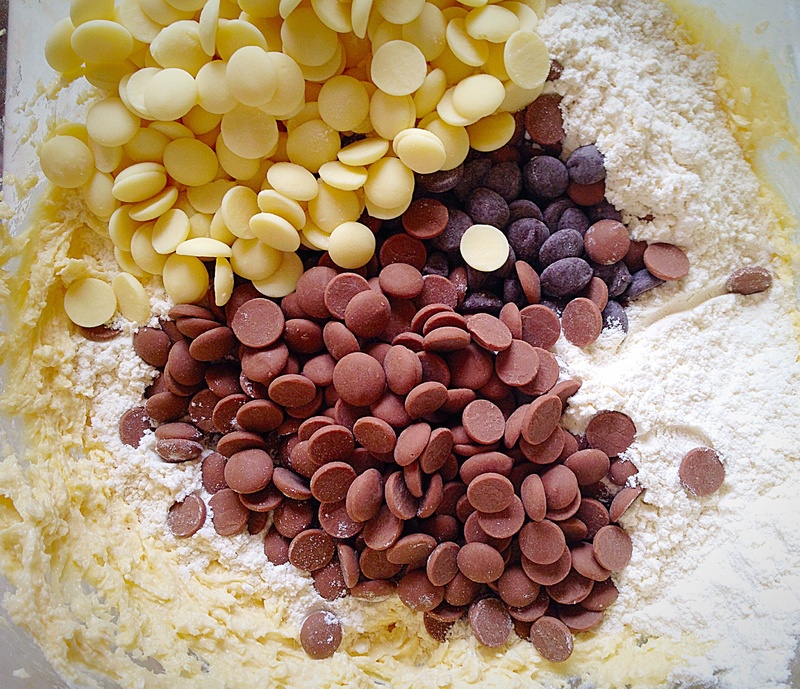 Making triple chocolate cookie dough. 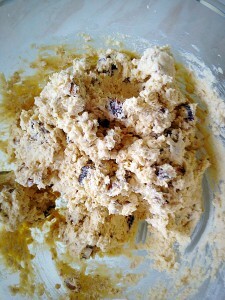 Stir all of the ingredients together with a spoon until they are just combined. 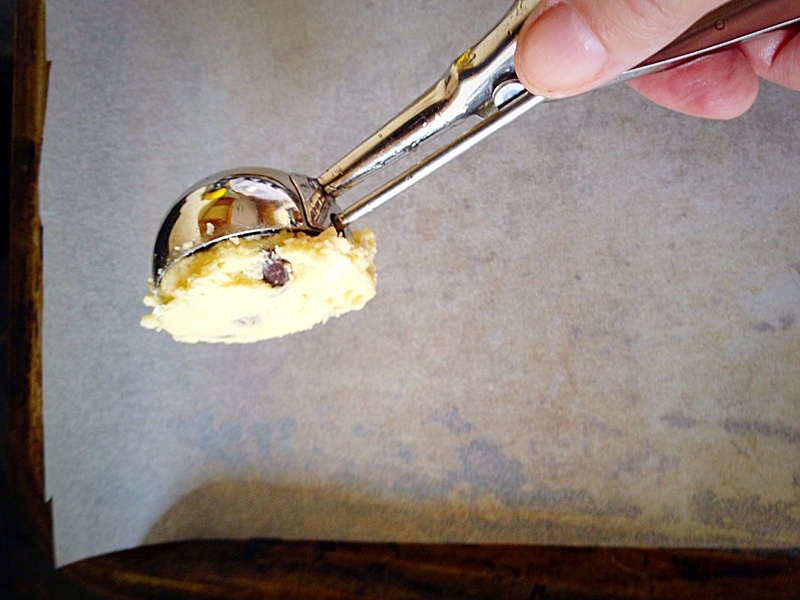 Spoon a heaped dessert spoon of cookie dough on to the baking parchment. Place 3 more scoops of cookie dough, spaced well apart, on to the same baking tray. Repeat with the second baking tray. 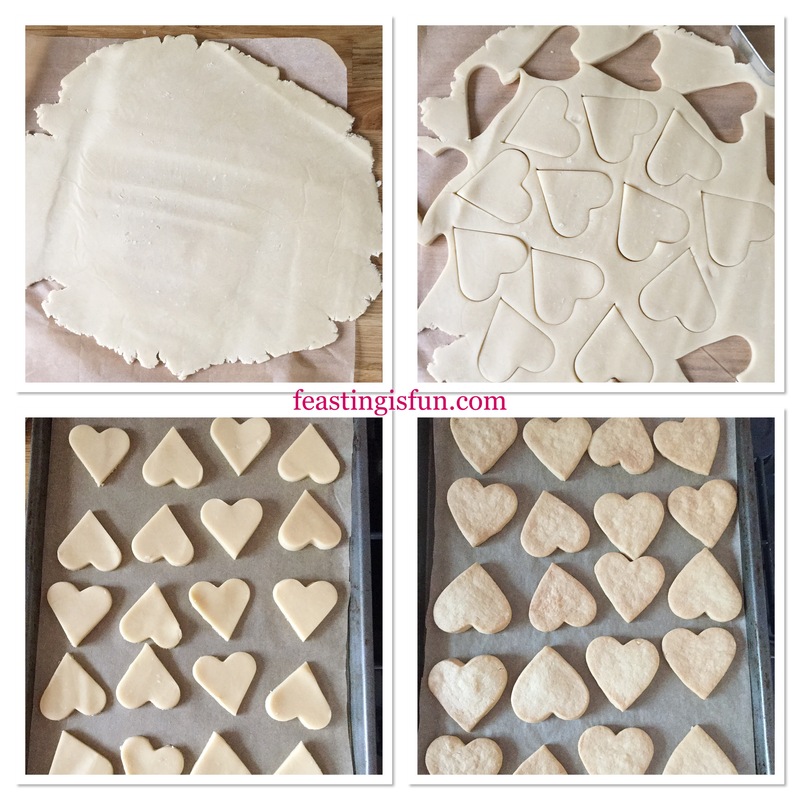 Place the baking trays in the middle and lower part of the oven. 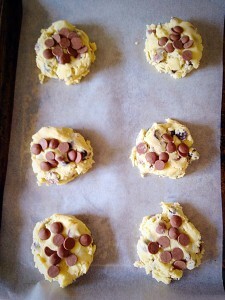 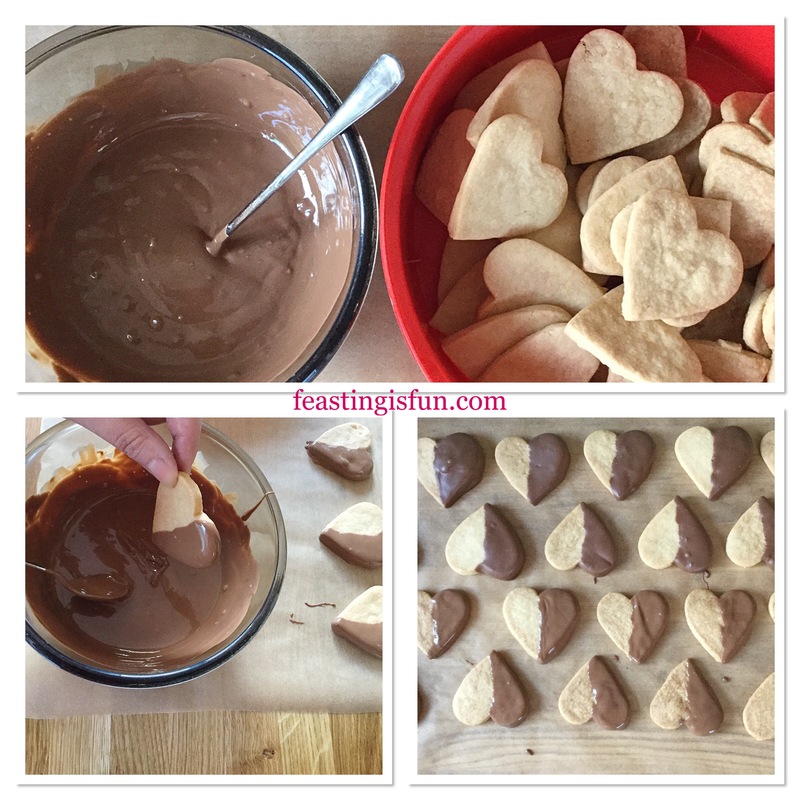 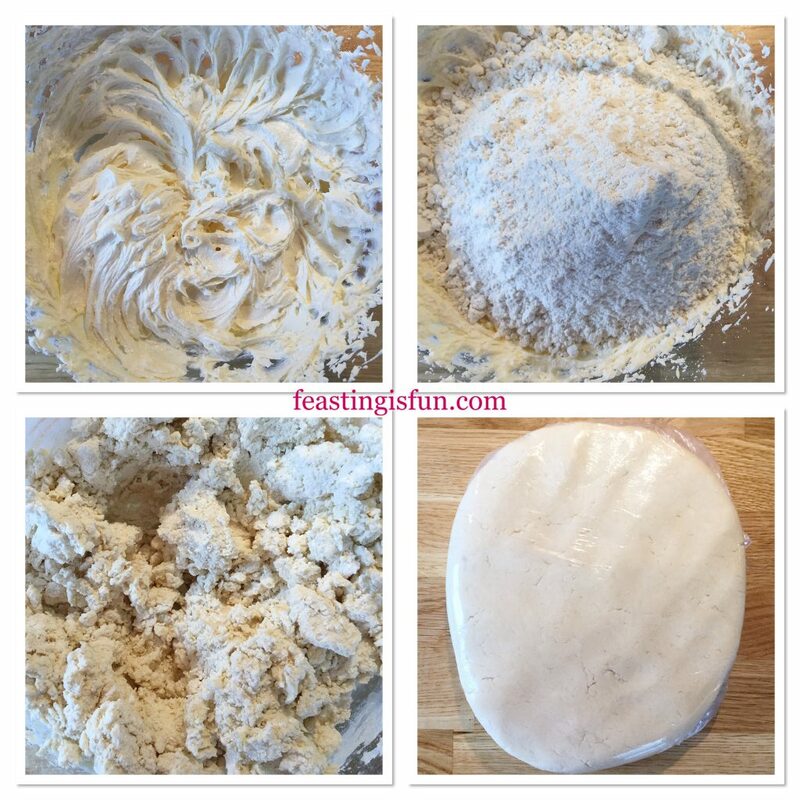 Bake for 14-16 minutes depending on cookie size. 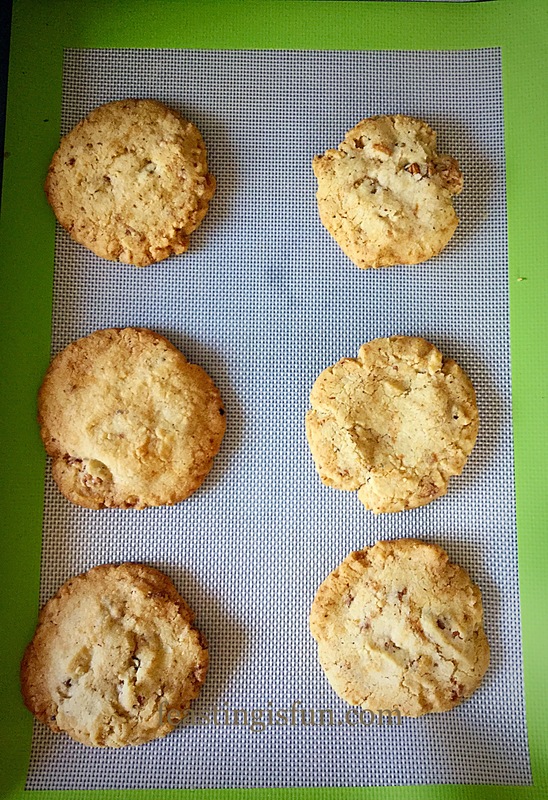 The cookies pictured below baked for 14 minutes. 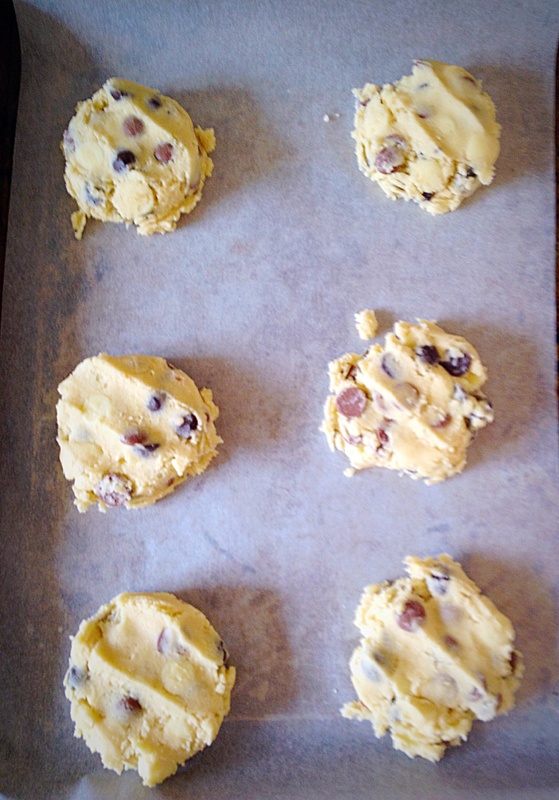 During the baking process the cookies will rise slightly and then collapse. 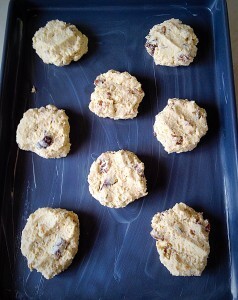 As soon as they collapse remove from the oven. 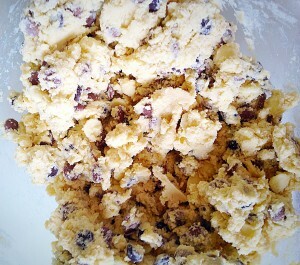 Portioning and baking the cookies. Allow the cookies to cool for 5 minutes on the baking tray and then transfer, using a wide palette knife, to a cooling rack. 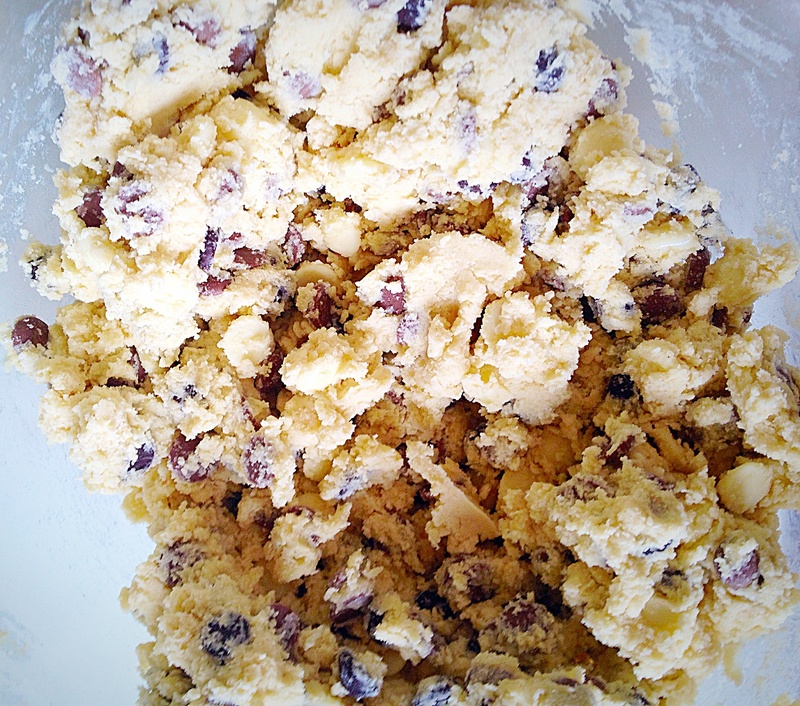 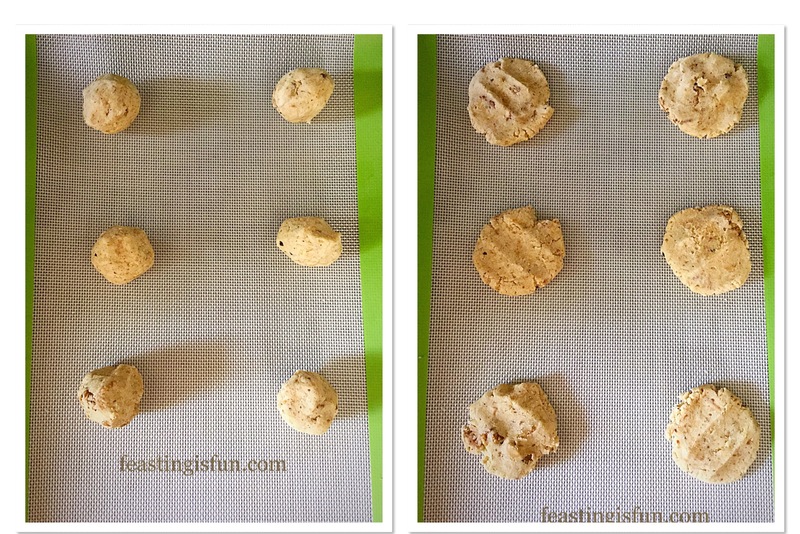 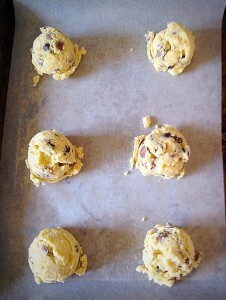 Flip the baking parchment over and when the baking tray has cooled spoon cookie dough portions as before. Continue until all of the cookies are baked. 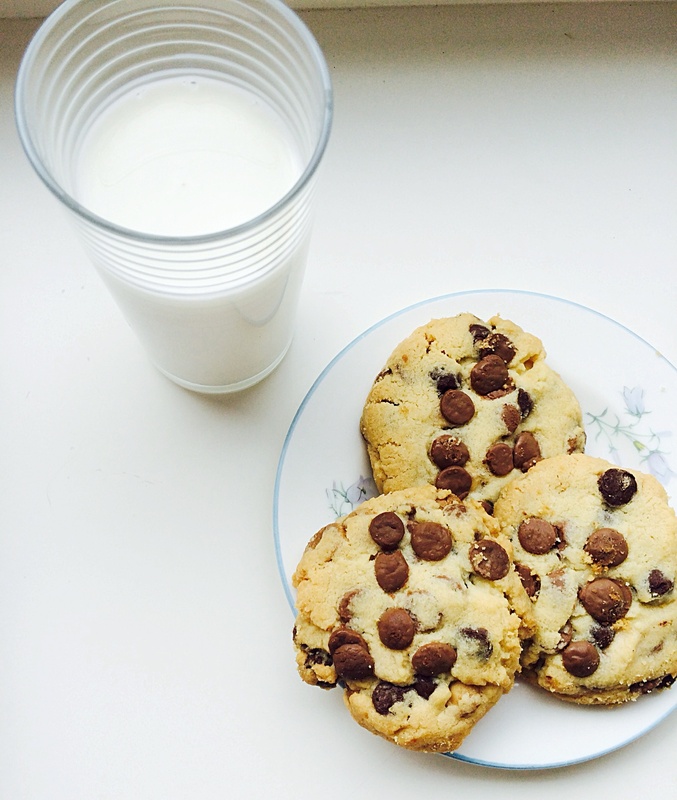 Serve the cookies warm or cold with fresh milk for a classic sweet treat. 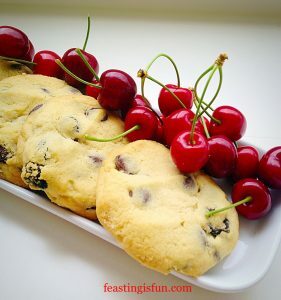 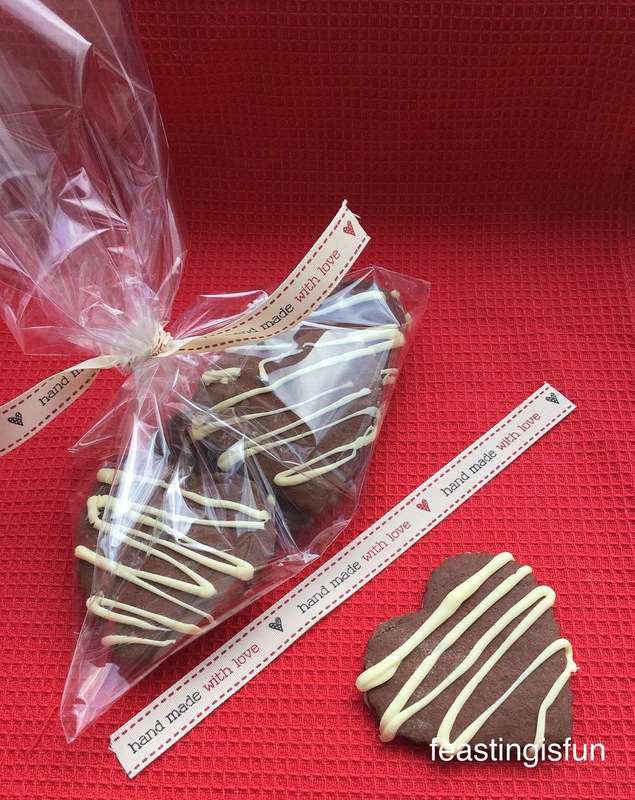 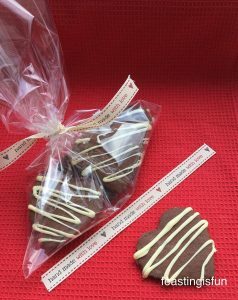 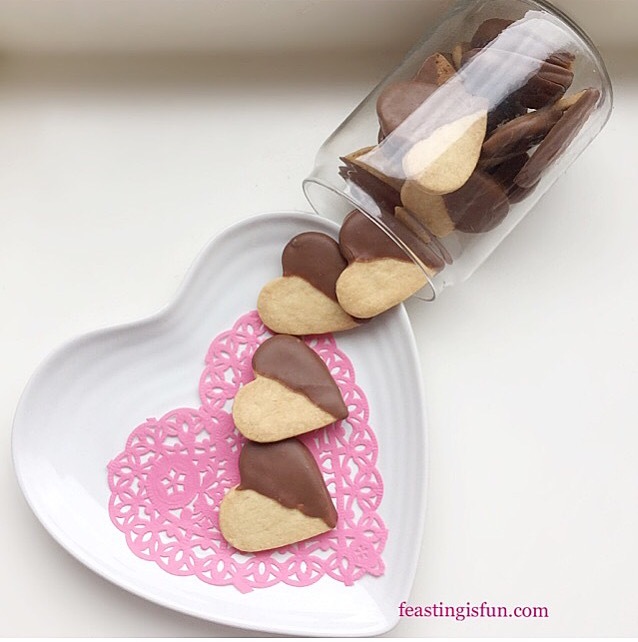 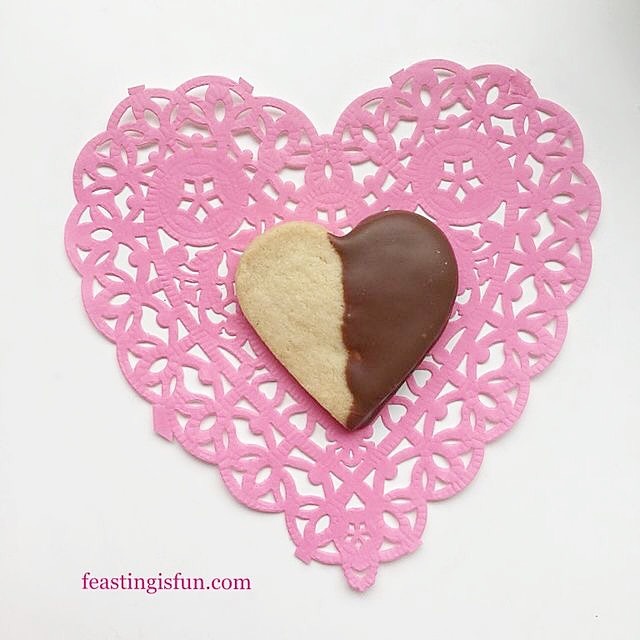 Also you can place cooled cookies in pretty cellphone bags and share with friends, at cookie swaps or take to the workplace for a mid week treat! 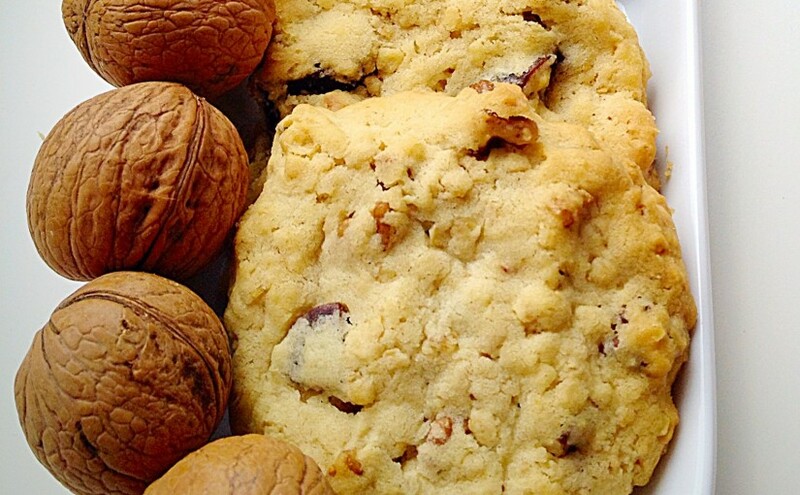 There is nothing I enjoy more than biting into THE perfect cookie. 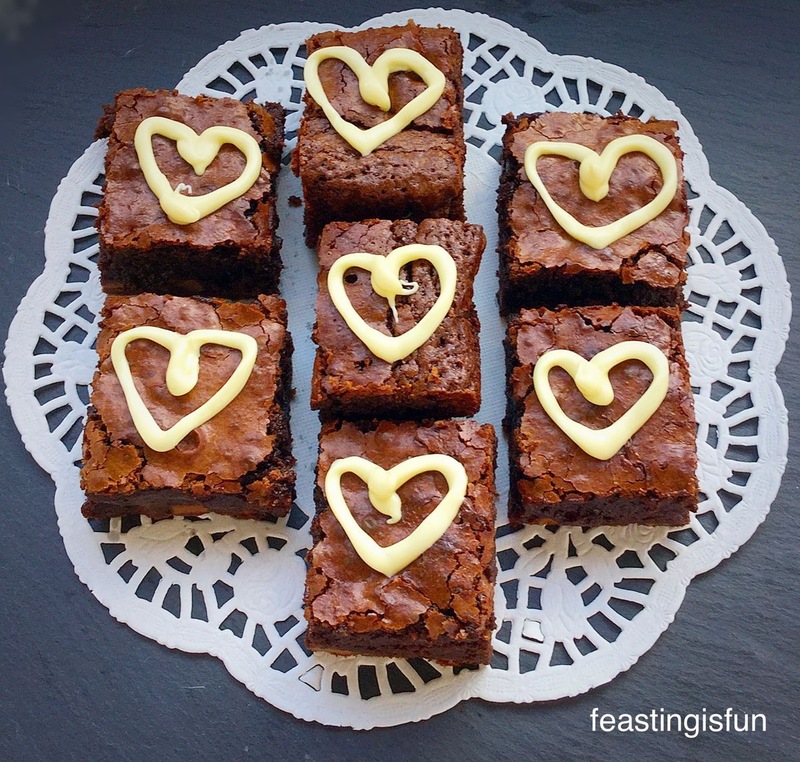 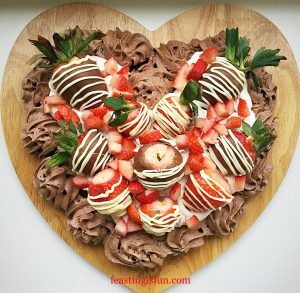 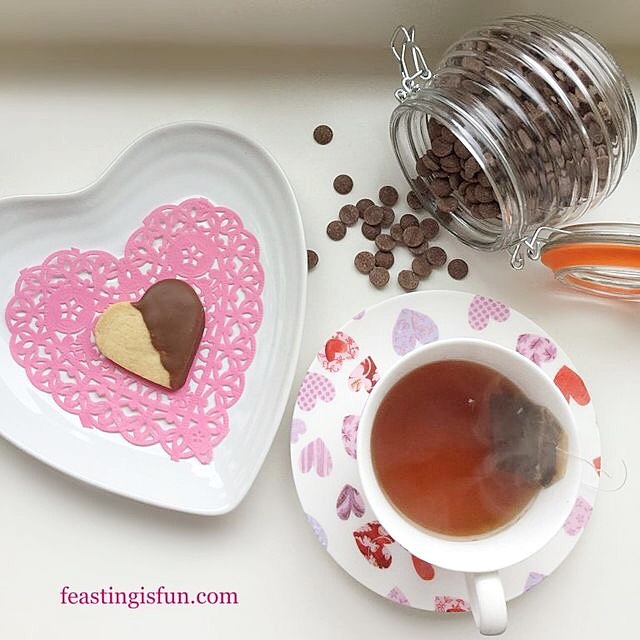 Accompanied with fresh milk or a hot cup of tea, for me this is the perfect indulgent treat. 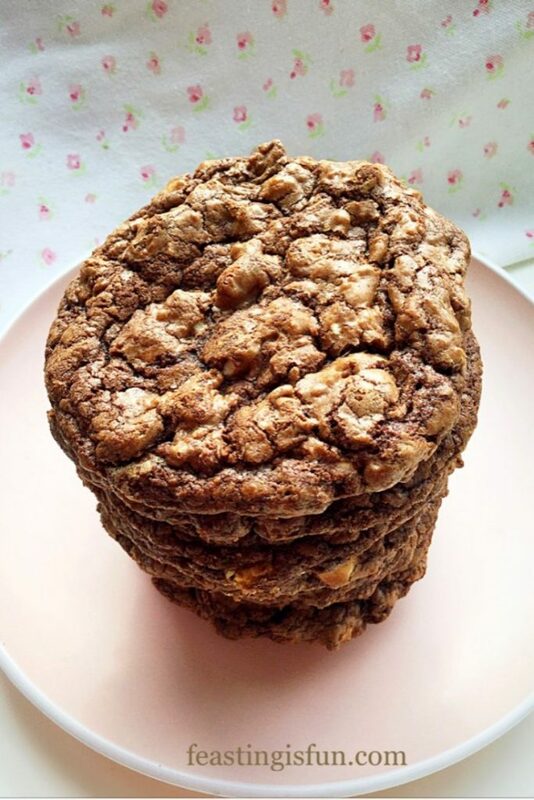 While I am not suggesting you bake these cookies everyday, I do believe in balance. 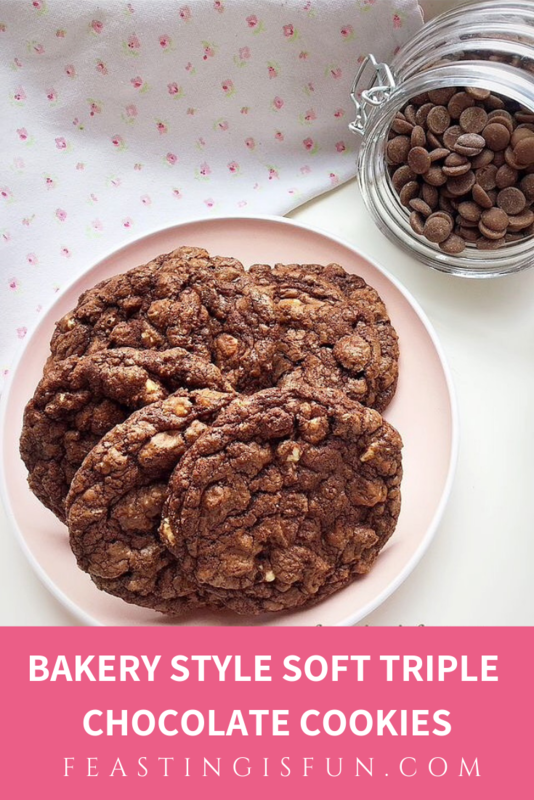 Rather than having dessert after a meal, one of these Bakery Style Soft Triple Chocolate Cookies satisfies my need for something sweet!